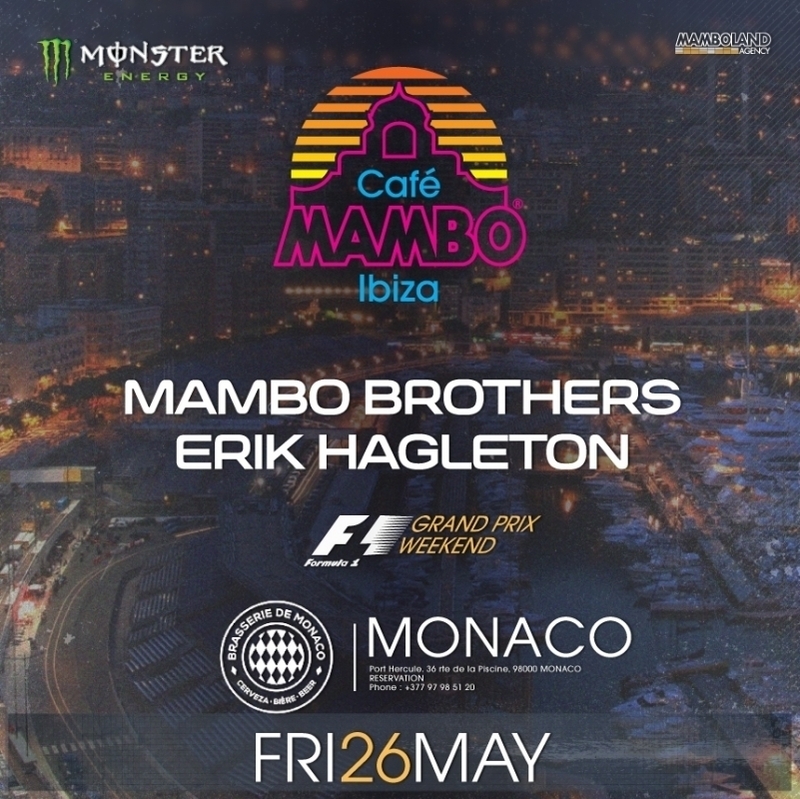 Cafe Mambo will make it's debut in Monaco later this month as we join forces again with Monster Energy Drinks for a special party during Grand Prix week. Taking pole position for Mambo will be our very own fast and furious Mambo Brothers alongside our good friend and distinguished French man Erik Hagleton . Taking place on Friday 26th May after all the action from the F1 racing, the party will kick off at Brasserie De Monaco, located in the picturesque port of Monaco. The party will also see the launch of the brand new Monster Energy Lewis Hamilton edition.